Independent Docking Pilots - Web Development Technology Partners, inc.
For 31 years, Independent Docking Pilots have been assisting vessels in and out of Hampton Roads and its tributaries. We are highly experienced shiphandlers who possess detailed local knowledge. 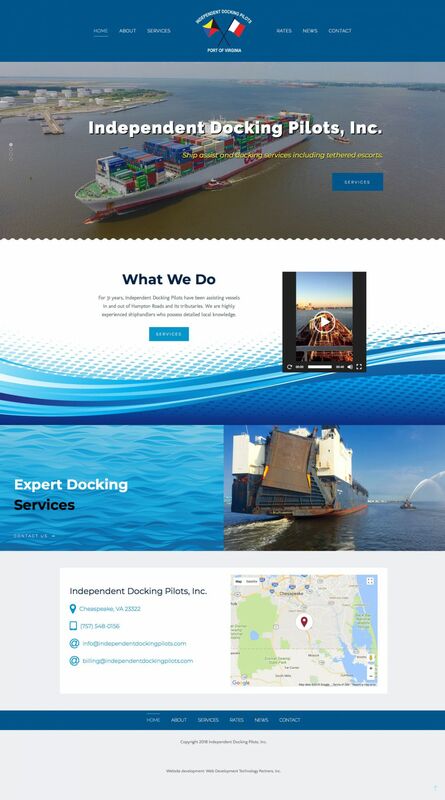 IDP plays a pivotal role in keeping commerce moving, both efficiently and safely, in the Port of Hampton Roads Virginia and the lower Chesapeake Bay. Having worked on the tugboats, our pilots are masters of towing and have a very unique understanding of each tug’s ability. Ship-handling is an art form and we pride ourselves for being industry experts only employing the exact number of tugboats to safely navigate a vessel within the port. Furthermore, we have a close working relationship with the tugboat's crew, keeping their safety in mind throughout the entire ship maneuver.